You, my friends, are awesome! As you probably know, last week my blog was nominated in Miss Angie’s First Annual Best of Blog Awards in two categories at My So-Called Chaos. Thanks for the votes, y’all! So, it’s time to vote again! The final round of voting ends at midnight next Thursday. Also, be sure to link up with me tomorrow for Friday Confessional and stop by the High-Heeled Love Facebook and say hi! 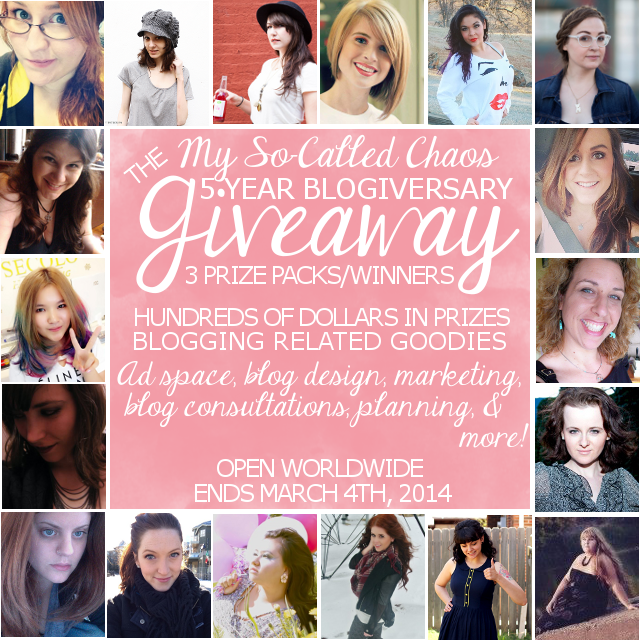 And finally, don’t forget to enter Miss Angie’s huge five year blogiversary giveaway.